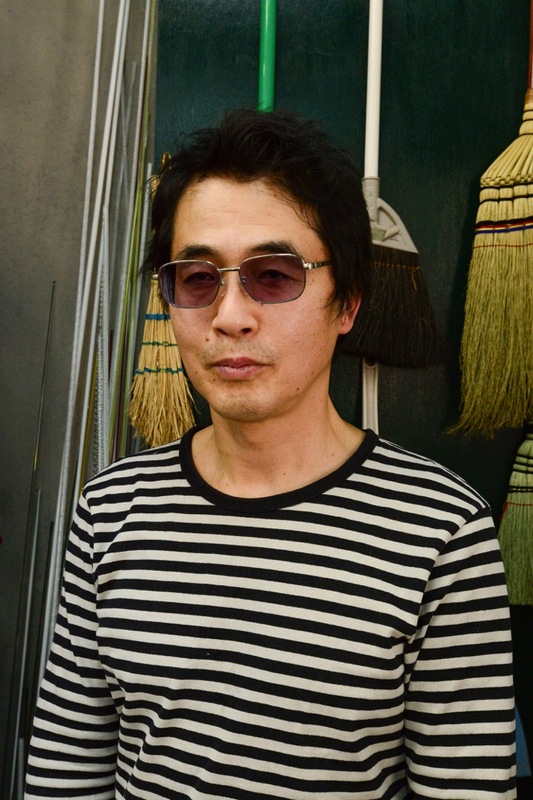 One of Japan’s more established contemporary glass artists, Ushio Konishi, is a world leader in the Venetian lace glass technique. 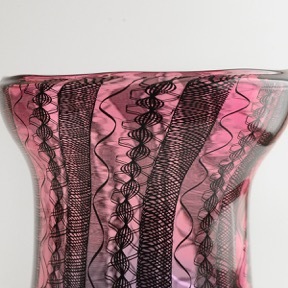 This involves creating glass rods with a ‘lace’ pattern before blowing and shaping the final piece. The rods, also known as glass canes, are made by skillfully and delicately twisting molten glass of different colours, resulting in interwoven filaments running down the centre. The rods are then used to create the desired shape by applying techniques such as fusing and glassblowing. 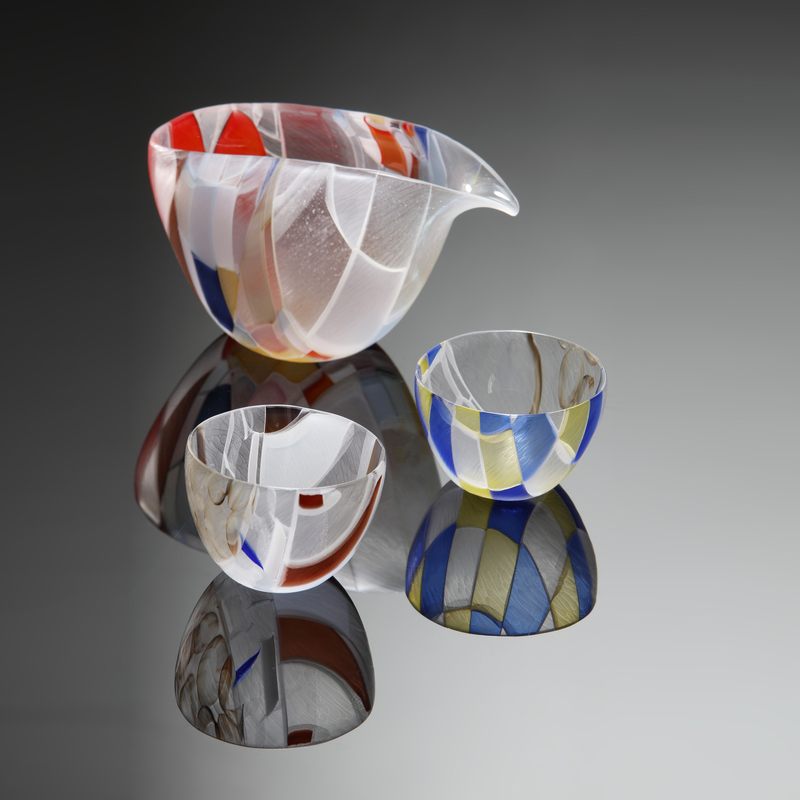 Although large glass pieces are typically preferred in Europe and the West, Konishi makes small Japanese functional pieces such as sake cups and flasks, as well as items used for the way of tea. His work often consists of uneven shapes and slightly crooked lines, which reflect the organic aesthetics of Japanese art. 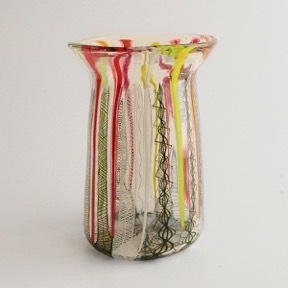 In such a way Konishi fuses European methods of glass making, such as Venetian techniques, with longstanding Japanese sensibility. His work reflects Japanese appreciation of imperfection and asymmetry and the value in non-identical pieces forming a set. Konishi first trained as a historian at Chuo University in Tokyo. After completing his course, he studied glass making and graduated from the Toyama City Institute of Glass Art in 1993. 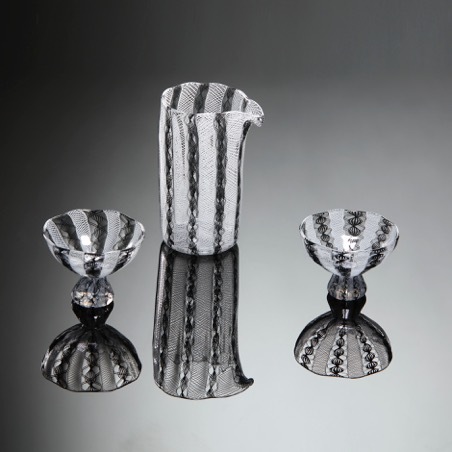 He subsequently moved to the US and worked at the Chatham Glass Company before returning to Japan in 1996. In 1998, he established Ushio Studio together with his partner, Fujiko Enami, southwest of Tokyo in Miura city. Interestingly, Konishi combines his two skills of historian and artist. He was recently asked to make a replica of an old Venetian vase brought to Japan 400 years ago for a samurai as a gift, which had later been destroyed. 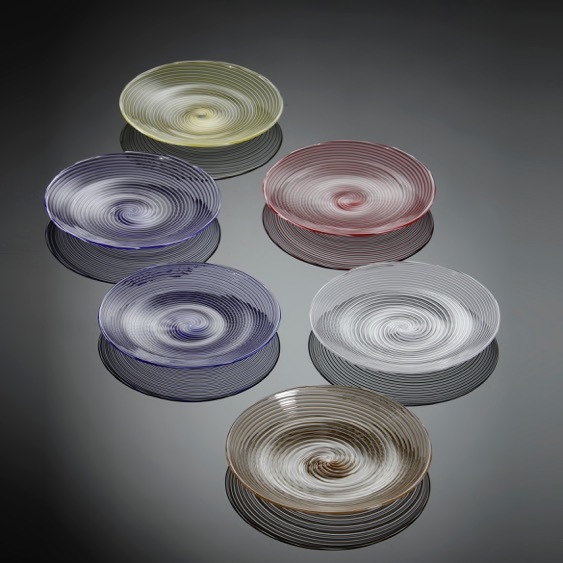 As another example, Konishi recreated coloured glass which had been introduced to Italy from Japan a century ago to imitate the colour of Japanese lacquerware. As well as working on his own pieces, Konishi gives lectures and demonstrations to glass-related educational organizations such as art universities and institutes, both nationally and internationally. His work is widely exhibited throughout Japan, New York and Venice, often along with the work of his partner, Enami. 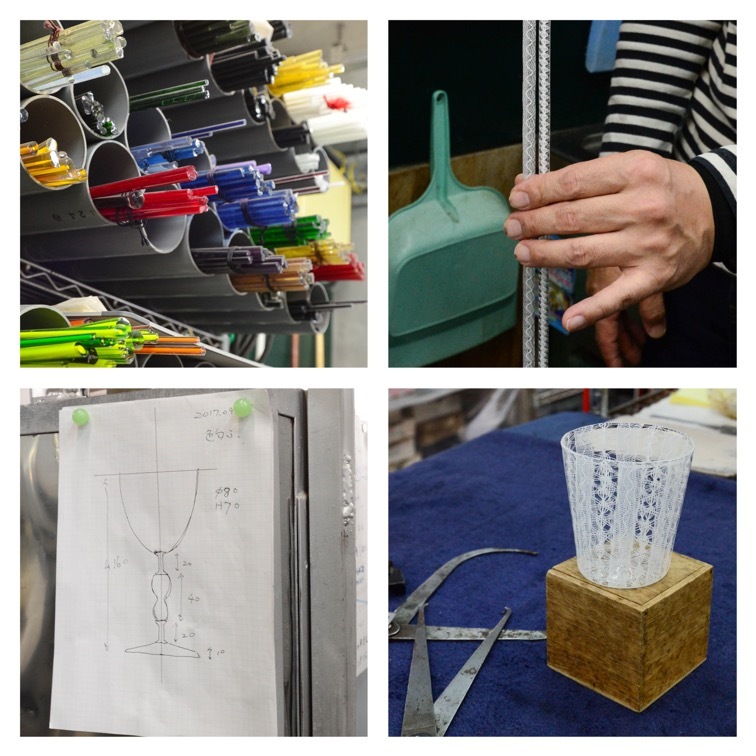 A Japanese glass-expert and passionate spokesperson, Klyachko opened Japanese Glass in 2018. Before that she had a career in the financial sector, where she started and ran a technology company. Over time and frequent journeys to Japan, Klachhko has formed close working relationships with 16 glass artists, which she now represents at Japanese Glass.